I've always had this insatiable desire to purchase new hardware. The fact that the word 'New' is in the title of the latest 3DS iteration should have taken my insatiability to 'New' heights. After spending nearly two weeks with my newest handheld, I'm not so much excited to be the owner of a New 3DS, as I am to just be the owner of a 3DS again. Regular listeners to our podcast are fully aware of my 3DS purchasing history. If you're not a listener, I'll catch you up very quickly. The short story is, I have bought a lot of 3DS consoles; and traded or sold all of them, excluding the New 3DS. Every purchase was in the interest of playing a specific game. Be that Super Mario 3D Land, The Legend of Zelda: A Link Between Worlds, or another title (I'm looking at you Dr. Mario). Once finished, I found little reason to keep my dual screen device, and soon through bartering magic it became cash or store credit. My latest purchase originated solely to play Monster Hunter 4 and the soon to be released Xenoblade Chronicles 3D. While I very much enjoy hunting monsters with freakishly over sized weapons, I have found myself spending more time with a different game...Fantasy Life. A game that in no way takes advantage of the New 3DS's additional features. Compared to its predecessors, the New 3DS has added shoulder buttons, increased processing power, and a C-Stick (actually more of a C-Nub). While these are considerable augments they do not drastically change the gaming experience. 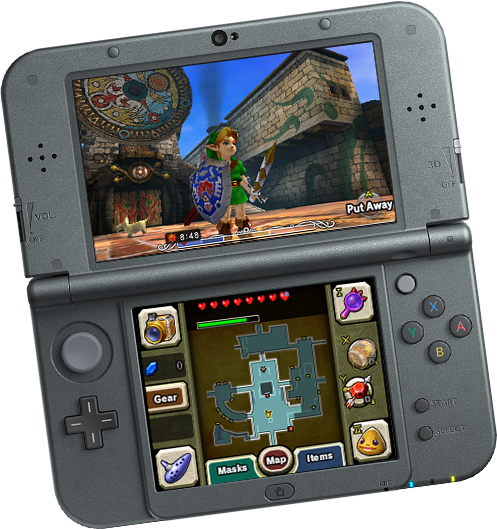 Simply put, the 3DS (any model, even 2DS) is the best dedicated gaming console currently available. This latest iteration is the console's best showing, but thus far there is little reason to purchase a New 3DS over its precursors. The is no denying that the Nintendo's 3DS had a rough launch. Only after the price was lowered and Nintendo revised their eShop, did the system begin the trek toward being the amazing device it is today. I did not stay for the entire journey, but with my recent purchase I've buckled for the long dual screen ride. If you do not own a 3DS, the latest model is easily the most recommendable. For those that have remained 3DS faithful, I envy you, and would like to borrow some games.